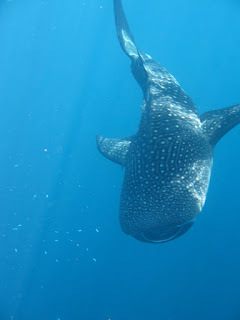 I finally came to Cendrawasih Bay National Park in Papua and experienced snorkeling with whale sharks! Awesomeness!!! There were four whale sharks in total today and I swam with them from 8am until 1pm 😀 *happy face*. 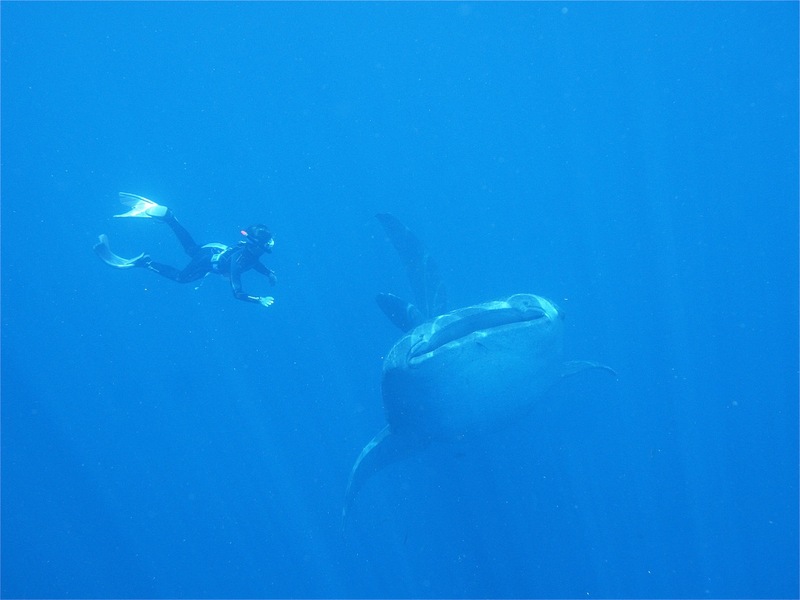 Two of them were as big as 10-12 meters, and the other two were about 7 meters. It was such an amazing feeling, being able to swim so close to them. They swam next to me and also sometimes coming right in front of me, I thought they would kiss me right on my lips! Hahaha..
Well, I was lucky to get here on the legendary Rainbow Warrior boat with Greenpeace. 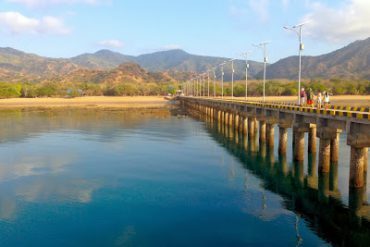 But, if you’re planning to go alone, you can fly to Nabire, then rent a speedboat to Ahe Island. From there, you can ask around on how to get to this site. 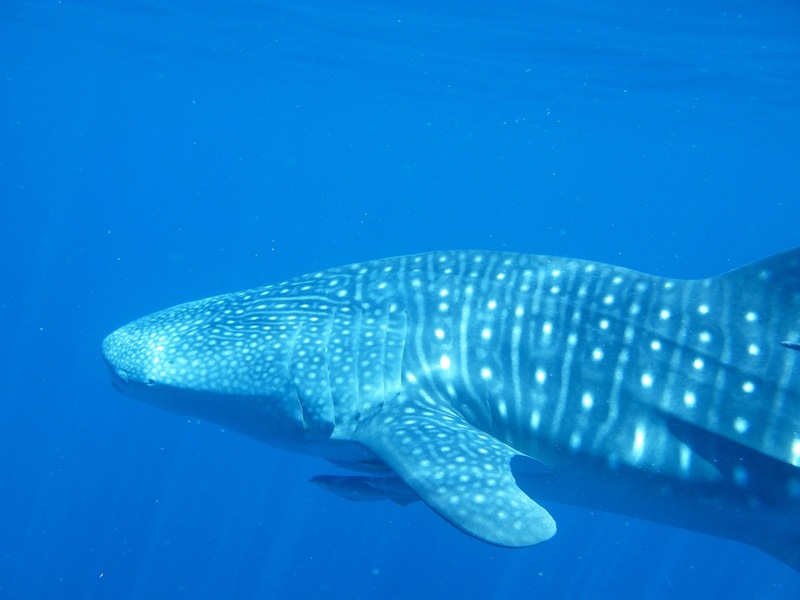 According to the local fishermen, the whale sharks are always there, every day. So, it’s 100% guarantee you’ll see them, all year round! Isn’t it amazing? I LOVE INDONESIA!!! How does it work? How come we can see them every day? You must be wondering, right? 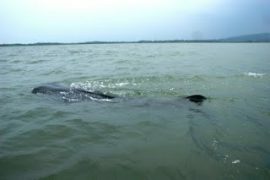 I also don’t know why exactly they always hangout there, but that’s what the local fishermen said. Once you’re in the spot, choose one of those fishing boats and ask the fishermen whether they have seen any whale shark. You can either wait in one of those fishing boats or go to another fishing boats around to try your luck. I saw a little boy playing with a bucket with a long rope. He put the bucket down and make some bubbles in the water. Then suddenly two whale sharks appeared from the sea! They thought this boy was trying to feed them! Ohhh.. super cute! 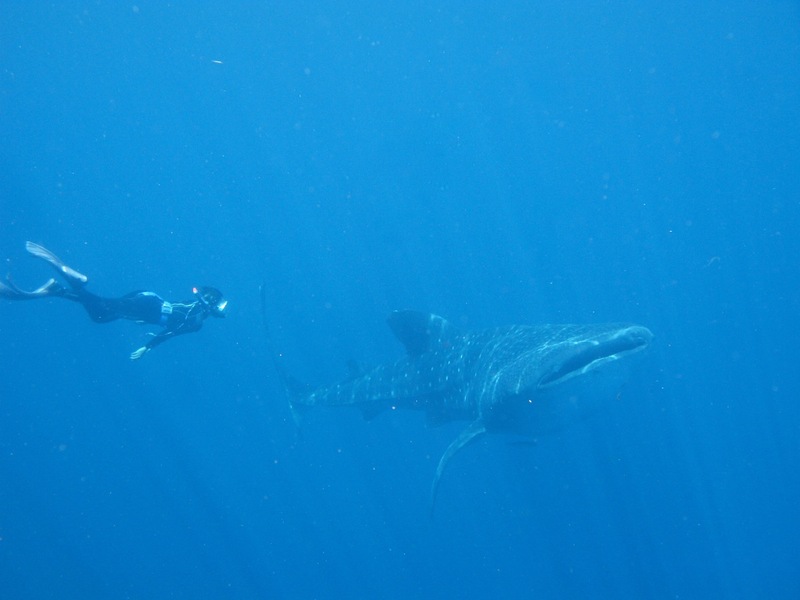 4) Do wear sunblock, because you will not notice that your skin is already burnt when you’re having fun with the whale sharks! 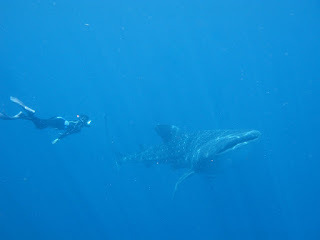 1) DON’T TOUCH THE WHALE SHARKS!! 2) Don’t be trapped into the fish net below the boat, because you’ll make the water murky and you won’t notice that your fins kick the whale sharks! Check out my video free diving with this giant fish! Or click here to view it on youtube :). Next articleWhat to do on Rainbow Warrior during “Transit”?